If you would like to make a tax-deductible donation please click on the secure icons below. 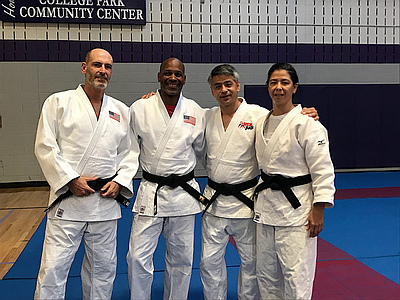 The College Park Judo Club, Inc. is a NON-PROFIT organization dedicated to teaching Kodokan Judo in a family and team oriented manner. 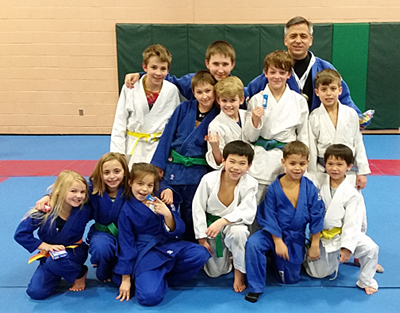 Our membership includes recreational and competitive judoka (judo players) of all ages, shapes, colors and sizes. The dojo (practice facility) is conveniently located in College Park, Maryland; a mile inside the Washington beltway. Sensei Karl and Sensei Diane placed 6th in the world!!! We are proud of your fighting spirit! Follow this link to go to the group. You must login using a Google Account. Sign in and apply for membership on that page. is a 501(c)3 not-for-profit organization.